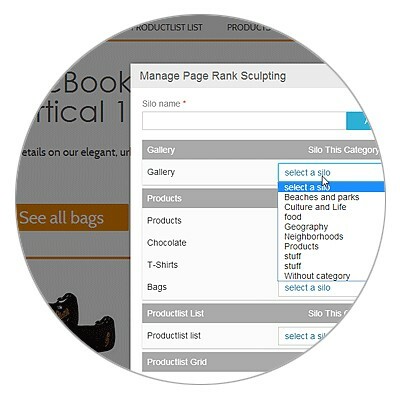 Simply log on to your site, point and click to add or update any type of online content including smart products list while keeping vital design and SEO code safe from harm. Design your site with no look & feel limitation, drop smart tokens whenever you want to add functionalities or users to edit content. It's that easy. 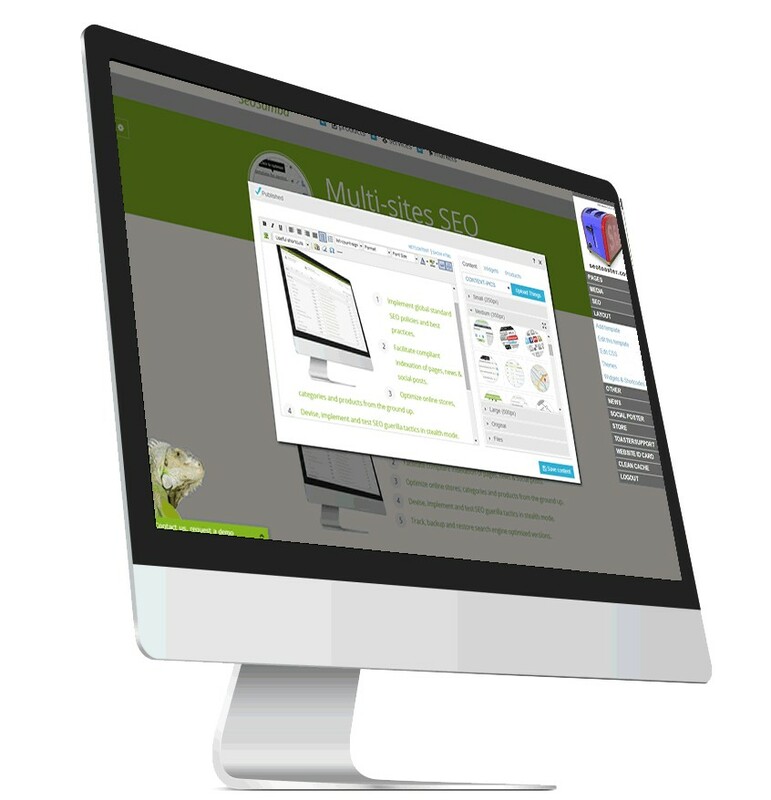 SeoToaster features the easiest content management system ever built: browse your website, click to edit, save your work and you're done. 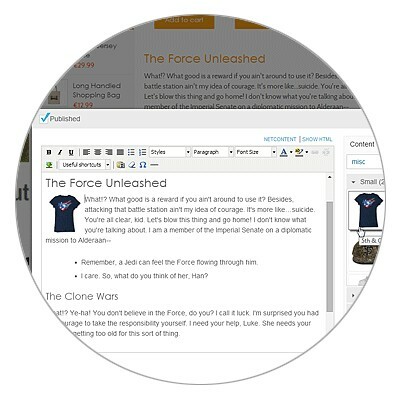 Text and links, images and videos, plugins and widgets, navigation menus and custom styles... everything is managed straight on your website. Forget complex and clumsy administration interfaces: SeoToaster saves you time and money, letting you create and update content on-the-fly without any required knowledge of web code. Search engine optimization is no longer a cumbersome, mysterious process. SeoToaster lets each and everyone build highly optimized webiste without any advanced knowledge of intricate search engines algorithms. Simply edit SEO properties and define logical content connections and let our CMS do the rest, ensuring a completely optimized webiste structure and maximizing your chances of top listings in major search engines. 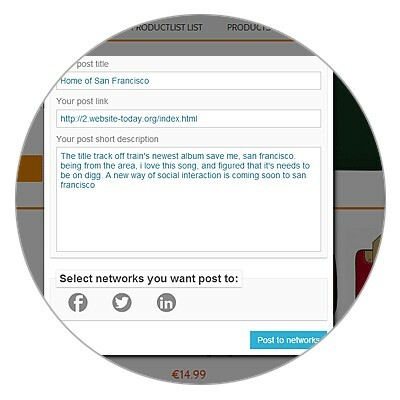 SeoToaster lets you post messages and updates to your social networks with just one click. Engage your social communities rapidly and simply within second of creating content, without even having to leave your website with a secure and direct link to your social accounts. User-friendly and easy to use, SeoToaster is the best companion for those who don't have hours to spend updating their Facebook, Twitter or LinkedIn pages, all the while optimizing all your posts for perfect compliance with all social networks requirements. Online store management has gone from a mind-buggling, hair-pulling chore to a simple matter of point & click. From products creation and update to inventory management, SeoToaster packs all necessary components to ensure the success of your online shop venture. 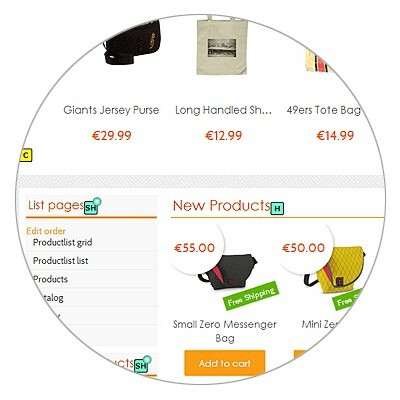 Smart coupons, customer groups, automated quotes, wholesale pricing, percentage discounts, shipping and taxes configuration: everything is included in your free SeoToaster E-commerce CMS from the ground up. While SeoToaster natively packs countless useful features, we make sure to keep your options open for many other functions from video integration to filesharing and ecommerce components. You will most likely find the perfect match to your individual needs in our cost-effective open source plugins marketplace to easily integarte within your website. And if you don't, feel free to request it from us or one of our certified partner, we are always keen on improving SeoToaster and ensure a fully satisfying experience with our products.